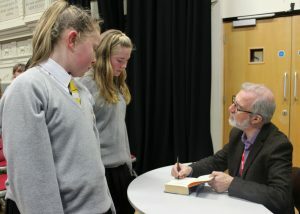 Years 7 and 8 students from Sir John Talbot’s School were visited by author Joseph Delaney on his nationwide tour for his new book, ‘Aberrations’. Delaney, who has sold over 3 million books and had a movie made from his book The Spook’s Apprentice, spoke to students about his books. He talked about what inspires him to write and what his plans are for the future. He answered any questions that the inspired children had too. Joseph Delaney commented: “It was a brilliant day and the students were attentive despite being a large audience, also they were well-prepared. I thoroughly enjoyed the day and it was a real ‘stand-out’ day on the tour. Thank you to everyone at Sir John Talbot’s School”. Nick McIlhatton, Teacher of English at Sir John Talbot’s School, added: “It was a great day that the students really enjoyed. 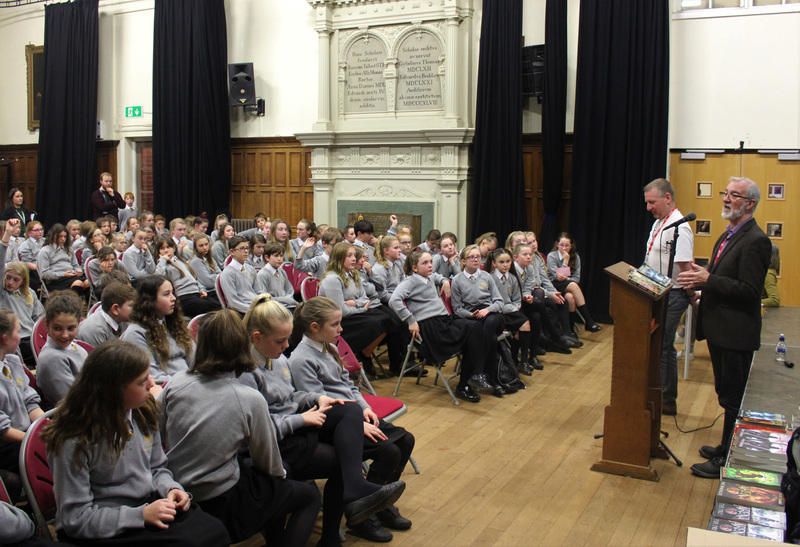 I am delighted to say that having Joseph here has inspired the students to read and write more, and we would like to thank Joseph for attending”.